As the HCSS co-presidents 2018-19, we direct the society and ensure that everything is running smoothly. Charlie heads up the Transplant Rota too. I’ll be organising the Surgical Symposium 2019 and will take on the role of President from 2019-20. As HCSS treasurer, I’m in charge of the society’s finances and sponsorship. My role is to organise and minute meetings, keep an eye on the society’s inboxes, and help with the social media and online profile of the society. I organise the talks and lectures each term. If you’d like to recommend a speaker or subject area, get in touch! 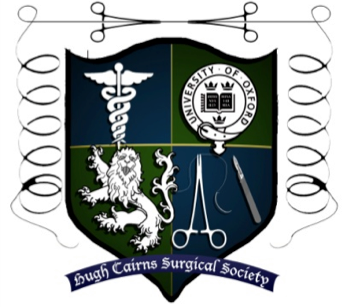 I organise the surgical teaching, OSCE preparation and suturing skills workshops offered by HCSS to all the 4th years and GE2 students. I’m in charge of running the society’s facebook, instagram and twitter accounts and keeping them updated! I co-ordinate the new HCSS mentoring scheme launched in summer 2018. If you’d like to get involved, either to mentor keen 5th and 6th year medical students or to receive mentoring, please get in touch! I organise the fundraising events for the Foundation and select the charities that the Foundation will support. I liaise with the teaching officer to plan and run educational events for my cohort.